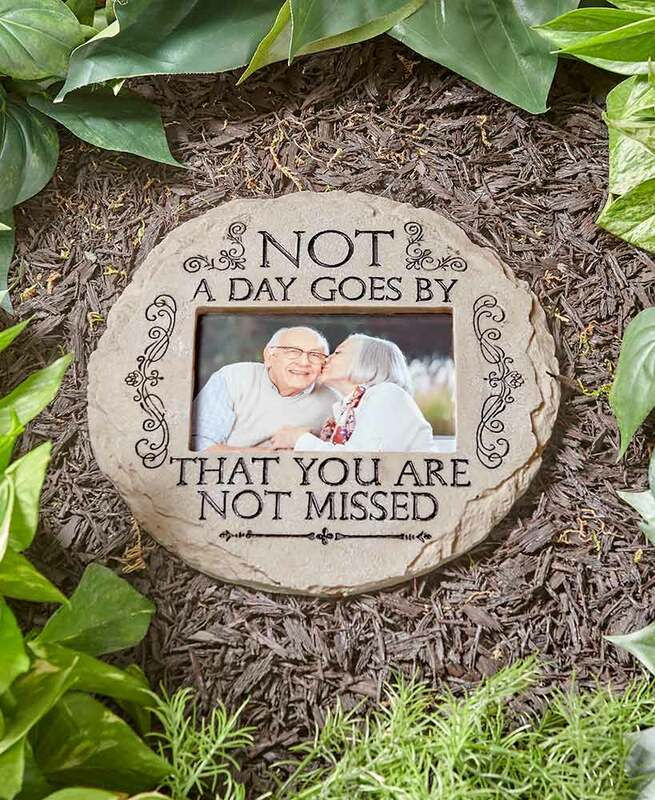 Memorial Garden Photo Stone - "Not a day goes by that you are not missed." 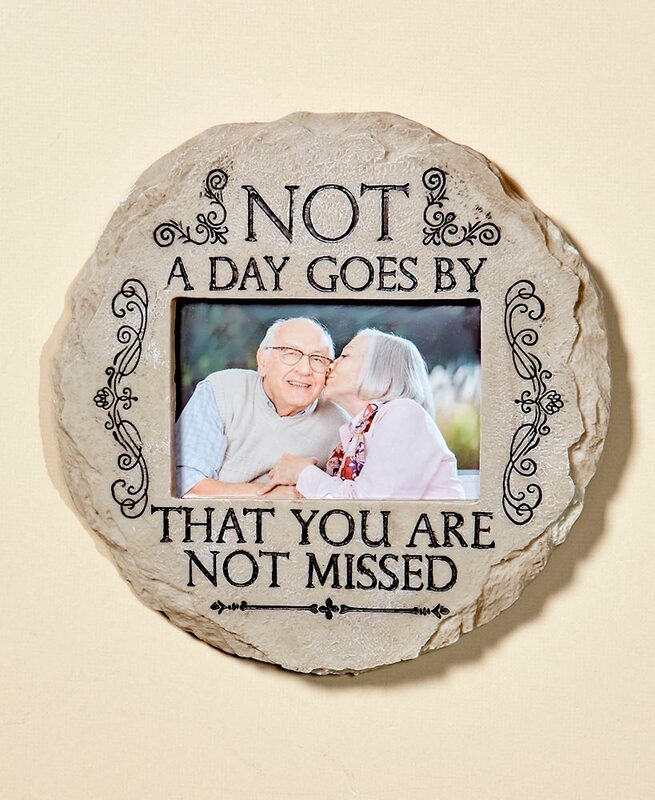 This Memorial Garden Photo Stone is a thoughtful way to keep loved ones near and dear. It features a heartfelt sentiment with scroll or paw print detailing. Add your own laminated 3-1/2" x 5-1/2" photo prior to placing the stone outdoors. 9-7/8" dia. Cold cast ceramic. Ready to hang. Not a Day Goes By: "Not a day goes by that you are not missed"